Carbs are a hot topic in the nutrition world. Some sources say you should eat them all, while others say to avoid them completely. But despite the bad rap that carbs often get, certain kinds of this macronutrient can be very beneficial when it comes to fueling and recovering from workouts — if you eat them at the right time. Starchy carbs are higher in carbs, while non-starchy carbs are lower in carbs and higher in fiber. Starchy carbs refer to foods that contain a higher amount of carbohydrates — specifically starches — per serving. High-quality sources of starchy carbs include all potatoes, rice, winter squash, quinoa, plantains, bananas, and yucca. Non-starchy carbs refer to all vegetables that are very low in carbs and high in fiber, vitamins, and minerals. Leafy greens, broccoli, Brussels sprouts, asparagus, onions, peppers, and cabbage all fall into this category. Timing carbs around your workouts allows you to replenish the glucose you use when you exercise. The main reason we want to eat starchy carbs around our workouts is to take advantage of the body’s metabolic response to exercise. When you exercise, you use up the stored carbohydrate in your muscles — glycogen. The body breaks glycogen down into glucose (the simplest form of carbohydrate) and use this to fuel muscles during exercise, especially short bursts of high intensity. Once you’re finished exercising, your muscle cells are especially sensitive to glucose (since they need to replenish glycogen stores), which is why you want to eat starchy carbohydrates post workout. After exercise, your muscle cells require less insulin to absorb the glucose from the carbohydrates you eat. Insulin — a hormone that’s secreted by the pancreas — is essential for cells to be able to take in glucose. Since your cells are more sensitive to carbs and insulin after you work out, we recommend eating a higher carb meal around this time. Doing so means your body won’t have to excrete as much insulin to absorb the glucose it needs. This is better for maintaining a lean physique and reducing signs of aging, as well as supporting healthy blood sugar handling. Eat your starchy carbs post workout. If you work out in the evening, eat your starchy carbs at dinner. Focus on mostly healthy proteins, fats, and non-starchy carbs for breakfast and lunch. Then eat a meal that’s high in starchy carbs for dinner after your workout. Some people find that they do better with a small amount of starchy carbs before they workout, like a banana. If you do this, just remember to include some starchy carbs after your workout as well. If you work out in the morning, eat your starchy carbs at breakfast. Focus on eating starchy carbs at breakfast after your workout within 1-2 hours. You can also include a smaller serving of starchy carbs in your dinner. This is especially important for those who don’t eat a whole meal prior to working out in the morning. The carbs you eat at dinner should come from a complex source such as sweet potatoes, winter squash, or quinoa so that they’ll break down slowly and help fuel your morning workout. No matter what time you workout, you’ll have to experiment and find what works best for you. There’s no perfect formula for this, but these recommendations are a great place to start. Your timing might differ based on your nutrition or fitness goal. If you exercise regularly and have a fat loss goal and/or are trying to improve overall health, then we highly recommend following the protocol outlined above. Optimizing your blood sugar and insulin levels is critical for fat loss and optimal health. If you have more of a performance-based goal, time your starchy carbs after your workouts, but also include them in either a snack or meal before your workout as well. If you have a muscle gain goal and are looking to put on muscle mass, then all of your meals should include some form of carbohydrate. 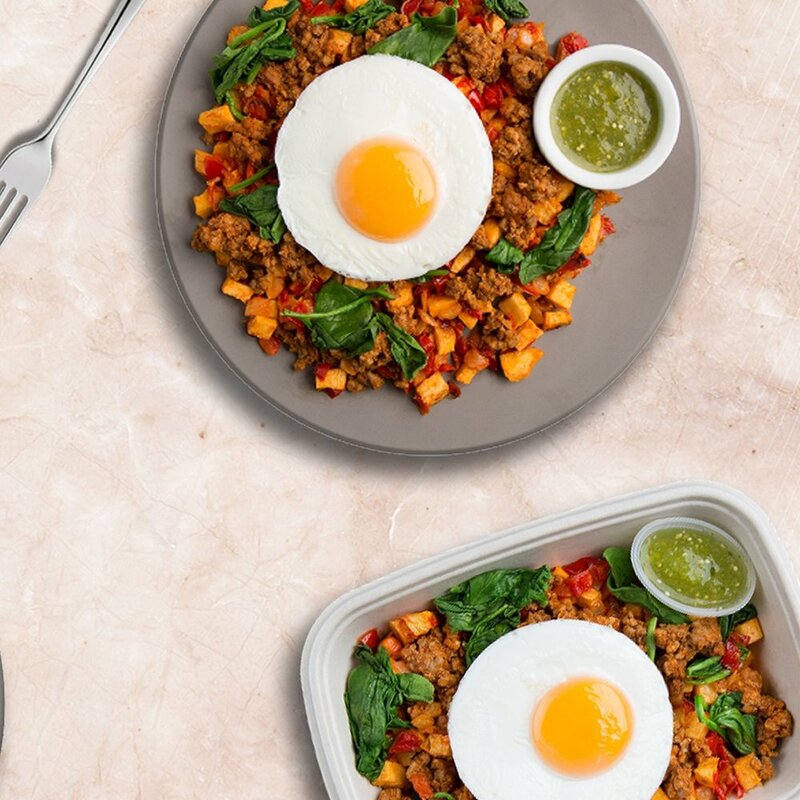 Our Burn Meal Plan gives you a mix of meals that are lower in carbs and athlete meals, which are higher in carbs. This allows our customers to easily time their starchy carbs. 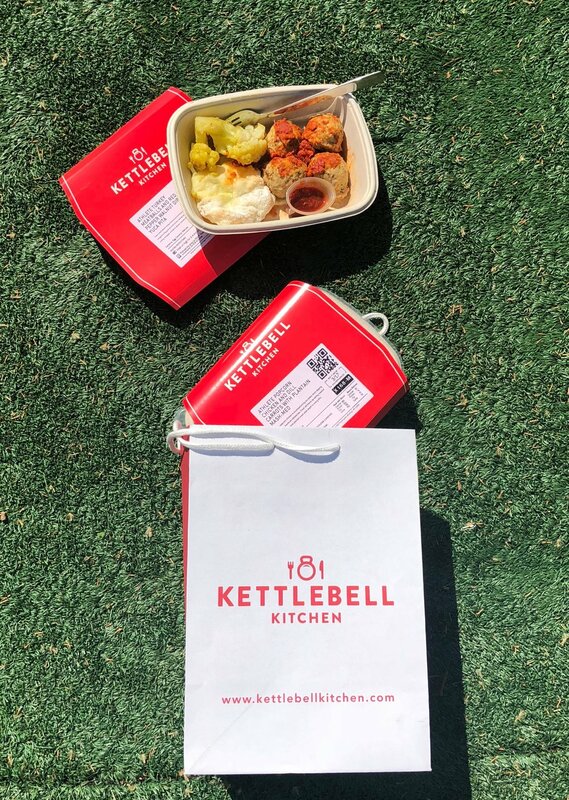 Head to www.kettlebellkitchen.com to explore all of our meal plan options.